There is an increasing need for the study of poetry and its various forms and create conscience among the people about the vanishing values and ideals in the modern society. However, in the present times, conventional poetic forms and classics are not getting much notability. S.A. Joseph, a post-graduate in English literature and presently working as the Principal Headmaster of an international school in Bangalore, comes with his book “An apology for Shakespeare” which aims to create awareness among people about the essentiality of reading, writing and perusing poetry in the post-modern era of the 21st century. The front cover of the book shows a delightful scenery, with picturesque mountains having lush greenery and floating clouds reminiscent of theatrical fog, and this cover seems apt as one can correlate serene vistas with heartfelt balladry. The blurb at the back cover is also detailed well and will augur well with literature lovers. The subtitle is “A defence of poetry”, which accurately explains the essence of this book of immense contemporary significance, which rationally uses poetic verses to mount advocacy for the importance of both comical as well as serious poetry in our mundane lives. This is a book of percipient verses- which are terse as well as expansive- but at their heart have the simple motive of preserving the traditional poetic art and classics; and glorifying the domain of poetry in literature, which has marginally taken a back seat in comparison to other literature forms in the present era. In that context, the greatest poet of all time Shakespeare is taken as the idol and the poems with some archaic words but brimming human emotions are addressed to him. However, it doesn’t talk much of free verse poetry; mystical poetry of poets such as Rumi; and the contemporary poems and slam poetries of present-day poets such as Rupi Kaur, who talk of feminism and women issues, and are taking the realm of poetry to greater heights. 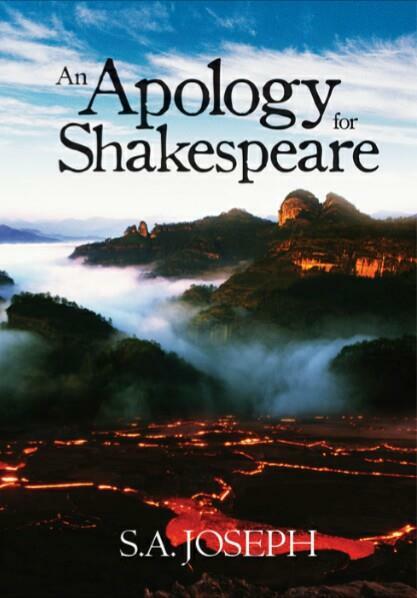 Nevertheless, this book is an excellent attempt by the author to portray the modern-day relevance of classical poetry, and should be read by literary enthusiasts and people who are Shakespeare fans. It should also decorate the bookshelves of libraries for the benefit of literature lovers and should be incorporated in the poetry curriculum of graduate and post-graduate courses of English literature in universities.